The top 3 players of the week will receive tournament tickets as reward. 2 players had the same score this time, so we’ve decided to give tickets to all 4 winners! 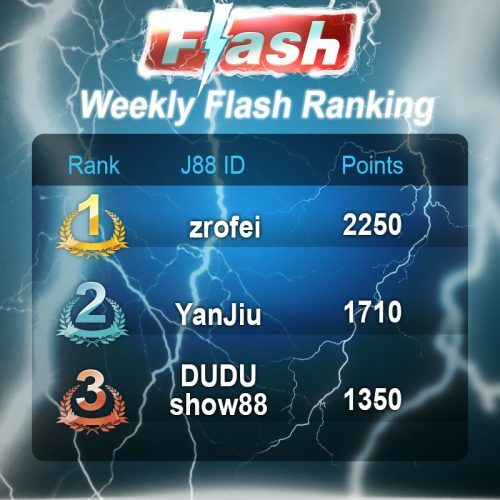 Congratulations, zrofei, YanJiu, DUDU, and show88!